Performer, Master Instructor, Choreographer, Director and Producer, Jillina has devoted her life to dance. Currently Jillina is touring the world with her newest production: Bellydance Evolution. Created in 2009, Bellydance Evolution is a revolutionary approach to the art of bellydance; it is a theatrical show with a storyline, much like a ballet. Bellydance Evolution has already appeared in over 20 countries and was a featured performer at the Mawazine festival in Morocco, performing for the Queen of Morocco. Jillina is the owner of Evolution Dance Studios, located in Universal City, California, USA. The studio provides rehearsal space to some of Hollywood’s top artists- Beyonce, Lady Gaga, Choreographers from So You Think You Can Dance- and serves as a focal point for the Los Angeles Dance Community. Ozzy has been studying and playing the Egyptian Tabla professionally for eight years. 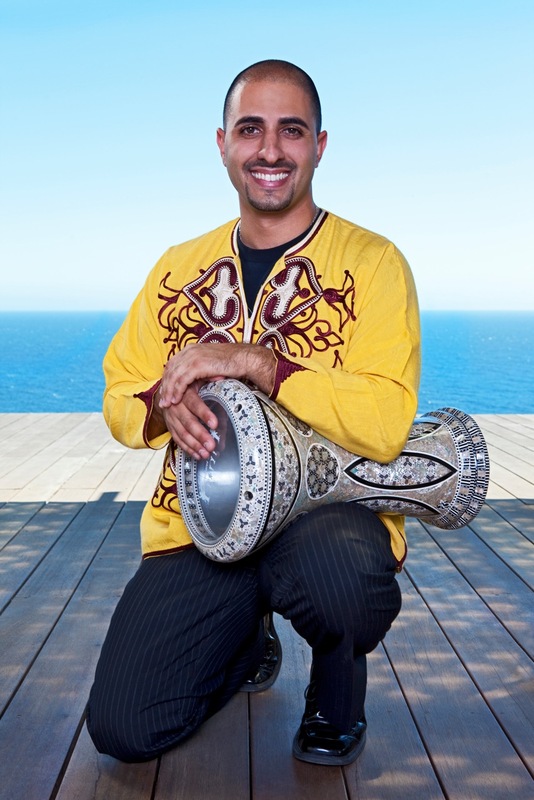 Being an Israeli born, half Moroccan, half Egyptian, Ozzy is proud to be a practitioner of this traditional Middle Eastern instrument and is fascinated by its effect on bridging cultural gaps as well as uniting friends and family with the joy of rhythm.